The very warm, dry growing season of 2015 yielded Burgundy’s fleshiest, most opulent white wines since at least 2009. The 2015 whites are clean, pure and rich, favoring ripe orchard and soft citrus fruits over minerality, as is typical of very warm, sunny years. The mood was as dark and gloomy as the weather on my annual late spring tour of the best Côte de Beaune addresses. A severe and widespread frost on the night of April 26/27, by all accounts the region’s worst in decades, sharply reduced the potential size of the 2016 crop, with some of the Côte de Beaune’s most expensive real estate, including Montrachet and Chevalier-Montrachet, especially hard-hit. Many estates in Meursault, Volnay and Pommard that have already been dealing with a shortage of wine in recent years now face even stiffer financial challenges. And this spring’s weather continued overcast, wet and chilly well into June, pushing back the flowering and ensuring that the 2016 harvest would last into October, which might expose the crop to a whole new set of problems. Over the course of my two weeks on the Côte de Beaune and in Chablis during the last few days of May and early June, I enjoyed a grand total of about a half-day of sunshine. Happily, the clouds of 2016 had a golden lining, at least for this taster: the weather in the cellars is always pleasant, and I was there to taste a very rich, sun-drenched crop of 2015s from barrel and the classic, refined 2014s. I will be presenting this year’s white Burgundy coverage in two installments, beginning with the 2015s in this article. My notes on the 2014s from bottle will follow later this month. As I noted in the introduction to my coverage of 2015 Chablis, the growing season in Burgundy got off to an early start with a warmer than average March and a downright balmy April. 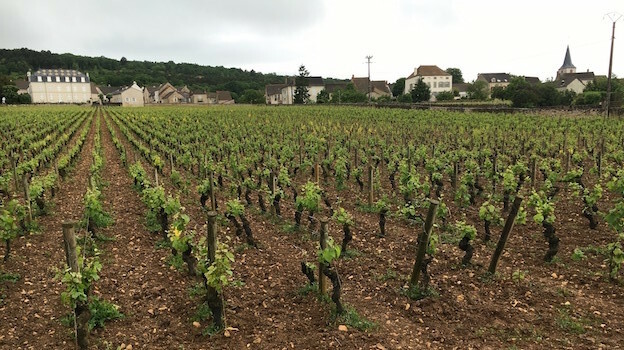 May was also warm and the flowering on the Côte de Beaune took place quickly during the last couple days of the month and a hot first week of June. 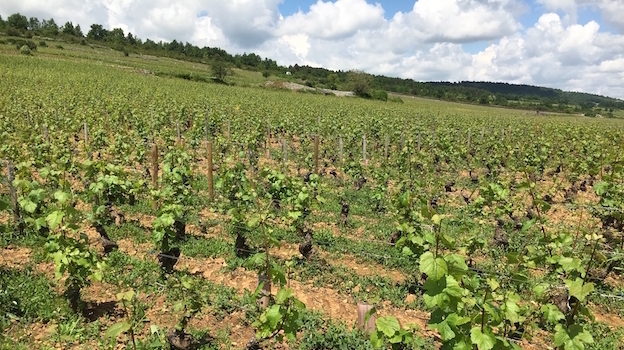 Potential yields were generally very good by recent Burgundy standards, but production in many vineyards was reduced, sometimes sharply, owing to the aftereffects of the violent late-June hailstorm in 2014. Some growers reported an element of millerandage (shot berries, or hens and chicks), which could reduce ultimate crop levels and accentuate the range of fruit ripeness, and one or two even mentioned coulure (shatter), but those were exceptions to a mostly glorious flowering. Substantial rainfall during a cooler week in mid-June just after the flowering finished (numerous growers reported as many as 50 millimeters of precipitation) provided the soil with crucial water reserves that would help the vines get through the very hot, dry July weather without undue hydric stress. Some growers reported issues with oidium (powdery mildew) in late spring, but the hot, dry summer limited its spread. Temperatures turned blistering at the end of June and through the first week of July, causing sunburn in some of the most exposed sites. There was another, shorter heat spike in the middle of July and temperatures for the month were significantly higher than normal. 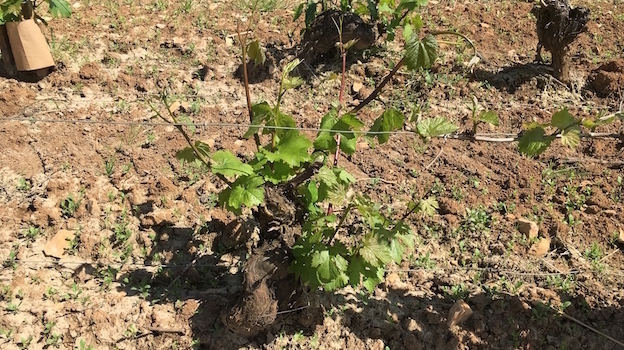 Rainfall was minimal to nonexistent: there was virtually no precipitation between June 15 and July 22 and the most exposed vines on the driest soils began to show signs of severe thirst—though to a far lesser extent than vineyards in the Mâconnais, which did not benefit from the rainfall in mid-June. August brought more changeable weather, far more typical for Burgundy than July had been. 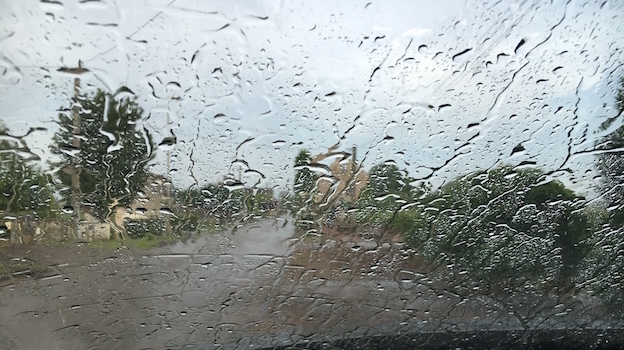 There were several days with light precipitation during the second and fourth weeks of the month, interspersed with a couple short heat spikes. It then turned hot again during the last five days of the month, when many estates were already starting to harvest. Although the flowering had predicted a Chardonnay harvest beginning on about September 5, the very warm, dry summer conditions compressed the season somewhat. Habitual early pickers like Henri Boillot, Arnaud Ente, Jean-Marc Roulot and Dominique Lafon began bringing in their Chardonnay between August 25 and 27, actually harvesting through very hot weather during the last days of the month, although generally limiting their work to the slightly cooler mornings. At least a few estates let their fruit hang through the very hot last days of August because they literally feared for the health of the pickers when afternoon temperatures in the vines soared well into the 90s. The weather forecast for the night of August 31/September 1 was grim, and some growers rushed to pick vineyards that were not quite ripe. That would have been a mistake, because, unlike in Chablis, which was hit by a damaging hailstorm and heavy rain that night, there was only light precipitation on the Côte de Beaune (4 to 10 millimeters of rain, depending on the site), which virtually every grower maintained was constructive for the ripening process and for slightly softening the tough grape skins. More important, the new weather system broke the back of the summer heat: virtually overnight, the temperatures fell from the 90s to the 70s and they remained dramatically cooler through the rest of the harvest. Later pickers often benefitted from harvesting under these moderate conditions, but in other cases they probably should have started earlier, when acidity levels were healthier. The weather held until heavy rain fell on September 12 and the next several days brought on-and-off showers. But the Chardonnay harvest on the Côte de Beaune was over by then, even if some Pinot Noir on the Côte de Nuits was still hanging. The fruit from this sunny, dry year came in with considerably higher than average potential alcohol levels, and if winemakers chaptalized at all they did so lightly, and mostly to extend the fermentations. At the level of village wines and higher, 12.5% was often a starting point for grape sugars, and many estates told me their least-ripe parcels were already at 13% potential alcohol or more. The grapes were often golden in color, but were small, thick-skinned and extremely healthy. Very few estates even bothered to use their sorting tables. Levels of malic acidity were generally very low, as much of the malic acidity had been burned off during the heat of summer. But the more stable tartaric acidity was healthy, according to most growers, as were pH levels. Some of the final maturity probably came simply from evaporation of water in the grapes, which also had the effect of preserving acidity. In the end, surprisingly few 2015s from the better producers come across as flat or dull but there’s often a New World quality to this very ripe vintage. The wines are clean, pure and rich, favoring ripe orchard and soft citrus fruits over minerality, as is typical of very warm, sunny years. If the ’15s rarely show the high-pitched crushed stone and ineffable floral and herbal top notes of the cooler, more classic 2014s, the vintage’s successes do not lack for freshness. The potential downside to the vintage, besides its mostly low acidity, is high alcohol, which can dull the wines’ perfume and mask underlying soil character. In their final months of élevage some 2015s are more dominated by lower-toned notes of menthol, anise, honeysuckle and exotic lichee. But the wines show less evidence of sunburn than I would have expected, as well as less surmaturité and tropical fruit character. I can certainly understand why so many growers maintain that 2015 is more typical than extreme. Some 2015s display an element of bitterness, most often on their finishes. This may simply be a function of their strong phenolic material, especially tannins, from the thick-skinned, extract-rich grapes, especially where the wines weren’t extracted gently enough. Some growers believe the bitterness may come from the way high alcohol combines with the wines’ minerality—or perhaps from edgy acidity that resulted from fast or inconsistent ripening and some blockage of maturity by the heat. Others simply associate this bitterness with high dry extract and believe that it’s a predictor of longevity. But will this element eventually be absorbed or will these wines always have an edgy streak? That’s one of the questions about 2015 that only time can answer. On the positive side, I would also expect many of the best-balanced, most extract-rich 2015s to show clearer soil tones as they burn off some of their baby fat and absorb their tannins. The best 2015s may surprise with their longevity. There are certainly some amazingly rich wines in 2015 but I have intentionally been prudent with my projected scores. The wines that go into bottle with sufficient energy, and with little or no obvious harshness, will no doubt merit finished ratings at the top end of my current ranges. What Vintages Do the ‘15s Resemble? Most growers mentioned very warm, dry years like 2009, 2005 and 2003, although they are quick to point out that 2015 featured much less extreme heat than 2003, especially in August. I do not see the 2015s lasting as long in bottle as the 2003s, which seem impervious to oxidation, but I also see them being much more fun to drink during their lifespans. They also taste more like Burgundy. I also think that the better 2015s are more concentrated than the 2009s, a vintage that featured full yields, although I should point out that a lot of the 2009s are showing well today. Two thousand five might be the most apt comparison for 2015. This was also a vintage with considerable and often slightly rough tannins and even today many ’05s are a bit tough and sullen. But nowadays most of Burgundy’s winemakers are far more flexible in their winemaking and élevage and have cut back on extraction and lees stirring, not to mention their use of new oak barriques, and I suspect that the 2015s will evolve more gracefully than the ’05s. Although producers agree that 2015 was a very warm, sunny year that produced very ripe wines, they are hesitant to describe the vintage as either “classic” or “extreme.” And although the press hyped the vintage early on owing to the dry, warm season, today the producers are more likely to describe their 2015 white wines as very good rather than great (a number of them, I should note, are higher on the 2015 reds, which they often consider to be outstanding and less exaggerated than the whites). Clearly, a high percentage 2015s will give great early pleasure, especially to those who enjoy wines with lower acidity, and restaurants will love them. (As a rule, they will be for drinking before the more taut, minerally 2014s.) But make no mistake about it: the 2015s are far more substantial than most so-called restaurant vintages.